One of the really cool things about being a startup is that you can make your own rules. There is no HR department to try to make you act all “corporate” and instill strict rules and guidelines or even have an “employee manual.” There is no doubt that this added freedom creates much of the innovative culture that drives a startup and attracts great employees. One common area to experiment in for a startup is with the vacation policy. Talking to founders, I’ve heard startups use the entire spectrum from no vacation to unlimited vacation. Today, I’d like to examine the unlimited vacation policy and why I think it may not be the best idea for startups. There are really just 2 sides to this issue I see: how your best and worst employees handle it. Unlimited Vacation takes advantage of your best employees. I’m a workaholic. So are many other startupers. Especially for an employee punching above their weight class, there can be a lot of pressure to constantly move the ball forward and make progress. That can mean taking very few breaks, and risking burn out. When you have unlimited vacation, there is no finite number. That number feels very foreign and it’s hard to understand when you are allowed to take time off and how much is appropriate. When you become a veteran entrepreneur, the concept may make sense and be easy as you’ll know when you should take time off; you fully appreciate the concept that a recharged version of yourself is much more productive than the borderline exhausted version of you slogging along for months. However, when you’re new, knowing the actual amount of time you’re allowed to take off can really help you not feel guilty taking time off when you need it. Unlimited Vacation is a dangerous option for bad employees. What do you do when one of your employees wants to take time off repeatedly in a short amount of time or a time that is far from ideal for your startup? How do you rein that in without conflict? When you talk about issues around “wrongful termination,” it’s a hard argument to say you’re firing someone for taking too much “unlimited vacation.” This can cause all kinds of conflict in your company as you can have resentment between employees and frustration for both parties; those taking the vacation think they’re merely exercising the rule as written and those working hard and not taking breaks see it as abuse. Have an open vacation policy with a finite number of vacation days. Obviously vacation and sick policies are a complicated issue at startups. This is just one piece of a larger question about how to get the most out of your employees while keeping them happy, healthy and motivated. Have you worked at a startup with Unlimited Vacation or another creative vacation policy? What were the pros and cons? I think I sort of get your first point. It makes sense to me in the context of a more novice employee who hasn’t figured out how to operate outside of academia. Your second point I think misses the point of unlimited vacation entirely. In order for unlimited to work you need a performance driven culture. In other words it’s not about time it’s about what gets done. If you are an employee that isn’t getting “it” done or moving the ball forward you are a burden on any company. In a startup you are a problem. Thus no discussion should ever involve “you are taking too much vacation”. There’s no such thing as too much vacation. The discussion should be based on “you are not performing at a level we need you to perform at.” It doesn’t matter if you are taking 0 vacation or half the year off, if you aren’t getting the job done you are failing. If you are the type of person that is not going to be able to manage an unlimited vacation policy in a way that allows you to perform at a level you need to then there is a deeper disconnect. You probably shouldn’t be in a startup because it means you don’t yet have the ability to manage yourself. You probably aren’t pro-active enough to even know what to do. Allotted vacation as a concept is something that is required when you employ “workers”. People who are doing a job to punch the clock, get paid and go home. There is nothing wrong with that, it’s just not compatible with startups. This (now ancient) deck from Reed at Netflix sums it up far better than I can possibly. It’s an oldie but still very relevant goodie. Skip to the freedom and responsibility section for the topic at hand. Thanks for sharing the presentation. In principal, the Netflix ideas are great. However, in implementation you have to recognize that at that point you have a much more complex system of checks and balances within your team that must be operating in a highly efficient and effective manner. I don’t think you can plan to have a company as effective as Netflix or you have to look long and hard at how that entire slide deck actually works together as a symphony; one instrument out of sync will ruin the whole thing and fall flat. Great article and you also bring up exactly the objections I have to the gimmicky “unlimited vacation” policy. One point to add, is that many companies who have that policy are not doing it out of the “goodness of their hearts”. They don’t want people to accrue vacation days, which they have to pay out, if person quits. Half a month to a month salary adds up, if your co. is burning through VC money just as fast as they are burning through devs (because gimmicks like that are required for them to recruit). Better idea is to allow your head of ops or whoever is running the resources to grant “personal days”. When I see someone burning out or too sick, I send them home or tell them to take a paid day off the next day. Not only is that better for the company (I control the resources, so I make sure we are not blindsighted), but it is also better for the employee. And Jeremy, if you are getting paid a salary, you are a “worker” aka “employee”. From the employee benefits perspective, “knowledge worker” or a “blue collar” is same darn thing. I like your suggestion of handing out “personal days.” I think an underrated skill in managing a team is recognizing when your team members could really use a break and would be more productive after some real rest. I also think you’re likely to notice well before they’d ever ask on their own. Yes! Being burnt out is looked at as a huge negative and in our culture admitting to a weakness, even if it’s a temporary one, is frowned upon. Vacation/personal days aren’t the only answer though. It depends on if they’re burnt-out from working too much or burnt-out from not working on something interesting. If the latter, involving that person in other projects/departments or letting them free-range and work on a project they create might be better than telling them to go home for a day or two. I definitely find I have significantly more energy for the things I’m crazy in love with versus things that feel like work. Well articulated and fair. Your solution seems to be pretty fair in that it tries to make sure that people take vacation, but not abuse it… but it also does that in a way so that it doesn’t create all of this corporate clutter like extra rules, employees/gatekeepers or paperwork that would distract a startup from its goals. I’d kinda like to hope though that we can solve this in the hiring phase and hire people we can trust with an open vacation policy though. Hire people who are going to take vacation but not abuse it. Maybe it’s a culture thing. Your culture reference makes sense. I think it fits in with the Netflix deck Jeremy shared above…being able to properly manage a more open vacation policy involves deeper cultural roots that stretch well beyond this discussion. I think the unlimited vacation policies are easier to “enforce” when projects and work is measured by measurable outcomes. Thus if you don’t make the sales, or the project isn’t completed in time, there’s a very clear metric to show lack of performance. The problem with startups is that measurement is often hard to nail down, projects change, there are more delays and as such a general layer of ambiguity. When evaluating time off requests in my startup, I generally find it doesnt matter so as long as it is distant from a launch/release which may need their support. Not sure how scalable this is though. You raise a good point. It is definitely tough; there’s always more work to be done. For me, I think in an early stage startup, vacations are about only one thing: avoiding burnout. I think taking time off for the sake of getting to take time off is a luxury of public companies. When you’re scrambling to get traction and reach product market fit, breaks need to be optimized around avoiding burnout and helping move the company forward. That doesn’t mean your vacation can’t still be to the Caribbean; it just means there’s likely fewer of them and timed with your startup responsibilities in mind. Very true, it definitely relies on having a good manager being able to see when personal days should be encouraged as Apollo brought up. We don’t have a “formal” policy about vacation though we do encourage our team members to take a day off when we can see they’re burning out or have really turned out incredible work and deserve a day away from the pace of things. Most times it ends up being a “20% time” since we’re all workaholics inside. I think your analysis of the disadvantages of the “unlimited vacation” policy is very accurate. When it comes right down to it, “unlimited vacation” is complete B.S., and ambiguity in expectations and model behavior will always be a source of strife and abuse in a company. I think there’s an additional angle to address, and that is about the best use of vacation itself. It seems that many believe the only reason to offer vacation is to avoid burn-out, but I don’t believe this is correct or wise. Making employees decide to take vacation to avoid burn-out also creates opportunities for strife and abuse. Some company cultures evolve to where employees pressure each other, generally without involvement from management, to take less than their allowed vacation days. Employees want to seem strong and committed, so they push themselves and each other to work when they ought to recharge. Other companies have employees that feel slighted by policies that don’t work in their favor. 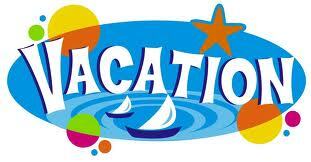 Sometimes employees can’t afford to go on vacation yet, but their vacation days will expire if they don’t use them. They will view this with contempt. Perhaps they want to stay at work and are intent on accomplishing their goals, but they also don’t want to lose this part of their earned compensation. This puts the employee’s commitment to enjoyment of their job at odds with the fairness of their compensation, and I think that’s just plain nuts. I think a better way to think of vacation is to acknowledge that people’s lives are more than their jobs. Everyone who isn’t a company founder or owner explicitly knows this, yet such a notion is hardly even mentioned in startup or corporate cultures. Is this really such a crazy thing for us all to admit and integrate into our company cultures? Now, burn-out is definitely a real company problem. The stress of an intense company culture will tire us out mentally and physically. I believe it’s up to the company’s management to recognize this and weave its resolution into the very heart of the work day, environment, culture, etc. Break rooms, game time, outings and field trips, assuming your company culture isn’t inherently dysfunctional (as many are) should be enough to keep people generally happy and productive. Beyond that level, what a person wants and needs in the form of vacation will depend much more upon their lives outside of work than within, and because of that, it will vary wildly. My ideal vacation policy would be widely flexible. All employees would have a low minimum of required vacation days. This is necessary, if for no other reason than the rest of the company may need a vacation from that employee ;-). This shouldn’t be seen as an indictment of that employee – even husbands and wives know that they need time to themselves. Beyond the low minimum, employees would be have a very large number of vacation flex days. If they take them, great. If they decide not to take them, they get paid an additional amount for that day in the form of a set percentage of their salary. This policy and percentage should be the same for all employees. The result of this policy is that it’s fair. Employees get what they want, and everyone knows that a vacation day taken is a trade-off and a personal decision. The one caveat I would add is that this will work best (and perhaps only) in a culture that truly values achievements and goals met or exceeded over hours spent in the office. Most of our company cultures have graduated from clocking in and out, but we still silently sneer or make snide remarks when a desk seems lonely for too long. When people value each other’s commitments to the company based upon their time spent over their jobs well-done, it’s the beginning of the end, and vacation policy is not going to be your primary concern. I think though there’s one contradiction within your statements relating to paying people out for unused vacation time; if you value people’s productivity over time spent, it seems strange to then pay them a percentage of their salary for unused vacation. I also think it’s awkward to have two co-workers get different amounts of money potentially at the end of the year, both for *not* taking more time off. I realize that they have different salaries to begin with, but this would seem to magnify it and when you consider the cost of certain employees, it could be quite lucrative for them to intentionally *not* take vacation (which is counter to the whole point of having it). I see what you mean by the contradiction, and you’re not wrong per se. It’s difficult to reconcile time vs. results in this way, but I’ll give it a try. For starters, I think we must all acknowledge that people who contribute more should be paid more than people who contribute less, just as we generally acknowledge that people’s contributions have unequal values through unequal salaries. So in that context, it’s only appropriate that two employees make different money based upon their differing time commitments. However, employees *must* have their compensation set based upon how the produce value in the first place, and this is generally the real underlying challenge that results in trouble (because it’s so damned hard). My real belief is that giving employees personal flexibility in how much value they contribute decide to the company is the only reasonable and fair way to structure a vacation policy. The company sets a vacation day maximum as the boundary for minimum required value contributed, and the company’s performance evaluation practices cull away the under-performers. I prefer evaluation to be based upon week-to-week performance rather than year-as-a-whole, as trying to sum an employee’s contributions over a full year *should* be impossible. If it’s not, expectations are *way* too low. So in my view, vacation policy is inexorably intwined with company culture and performance evaluation. The problem is, your system rewards people for not taking vacation and that’s not what vacation is meant for. Just to clarify, minimum vacation days *must* be taken and *cannot* be exchanged for dollars. Beyond that minimum, incentives and culture should be setup so that the company is indifferent as to whether employees take more vacation days (up to the limit) or not. @far33d: Case two is easily solved by denying the vacation request – unlimited vacation doesn’t mean you don’t need to ask for it. @ESal: I used to work for a company with unlimited vacation – I always felt guilty taking time off – opposite effect of what’s intended! @phillipcortes: I completely agree – I think a full weekend off every month is pre-burnout, but only time will tell! Having spent most of my career in creative positions at small companies and start ups and 5 years in my own business with a few years at a mega-soulless-corp, I’ve realized the importance of not only vacation and personal time but creative time. The only problem was it was not “official” so no one could really talk about it to anyone else. I called it “comp” time to my boss who was okay with that as the name for it. In entrepreneurial companies i think creatives (no matter if they are the genius developers or the marketing team) really suffer. The pace is pretty relentless. Personally work days allow no time to think out of the box about the business, how to adopt and adapt new technologies to what we do, or just be funny and laugh and recharge. A few years ago I had a planning meeting with my team. When I looked at the SWOP that came out of the meeting, our top weakness was that we had zero time to be creative. We felt it was hurting the dept and the company. The business was not getting the tremendous value we could offer by being our best creative selves. The company was expecting us to get psyched with creative ideas “somewhere” else and bring it in to the busy day ahead.. obviously developers and line folks are in this same position. So we instituted an informal department program called “creative day out” where each team member could ask for a creative day.. it worked really well and was something we could actually monitor as it was one day per month for 4 people. So my ideal proposal would be: every employee in a startup gets a formal amount of basic vacation time, augmented with 12 days of paid creative/exploration/ rejuvination time accrued after 6 months of service. Each employee gets 1 paid day off each month to do what they love.. paint watercolors by the beach, go to theatre or movie, take a cooking class, take kids to the art museum, etc. Stipulation is that it shouldn’t be used as a day to run errands and go to doctors office or whatever.. It needs to be used as “your” day.. And perhaps the company throws in a stipend of $25 bucks of paid expenses to sweeten the deal. Maybe after 3 years the company offers a 2-week creative sabbatical with additional funds attached to underwrite some longer term adventure.. This would control time off but also be a great way to prevent the inevitable burnout. People would look at it like a “pressure valve”.. i just need to make it thru this week to my creative day off and i can go water skiing! One day a month seems reasonable to me and will not dramatically impact a startup as long as there are people to cover. Seem like company would get all of that time back in terms of dedication and the many stories of “what i did on my sanity day off” that give others ideas for what to do.. Thanks for the comment…very thoughtful concept and specifically think the creativity issue is a big one; you can slog through a lot of work every day, but being creative requires rest and recuperation.